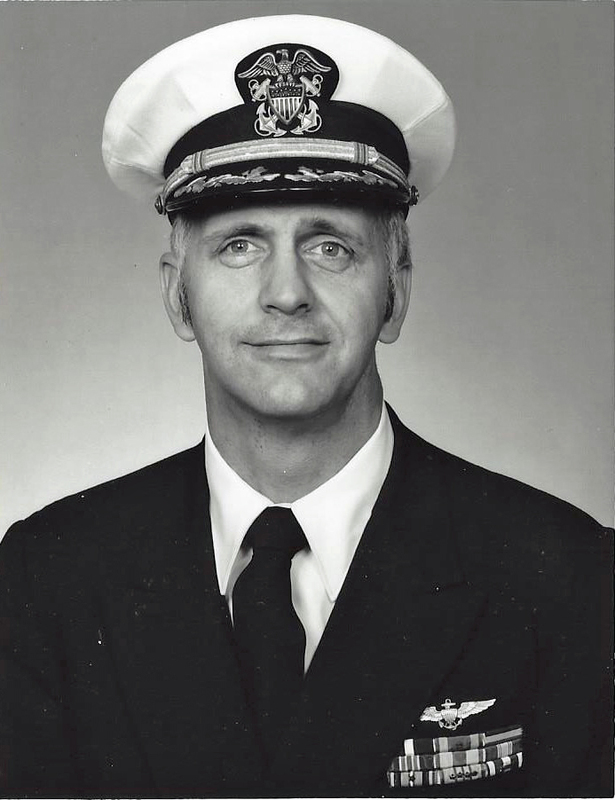 History: Ensign Cook entered the Naval Aviation Officer Candidate program after graduating from Western Montana College, Dillon, Montana (now University of Montana at Dillon). He received his wings in Pensacola in 1967 and was assigned to Helicopter Support Squadron ONE in NAS Ream Field, Imperial Beach, CA. His tenure in HC-1 lasted fewer than ten minutes when he was simultaneously checked in and checked out to the newly commissioned HC-5. 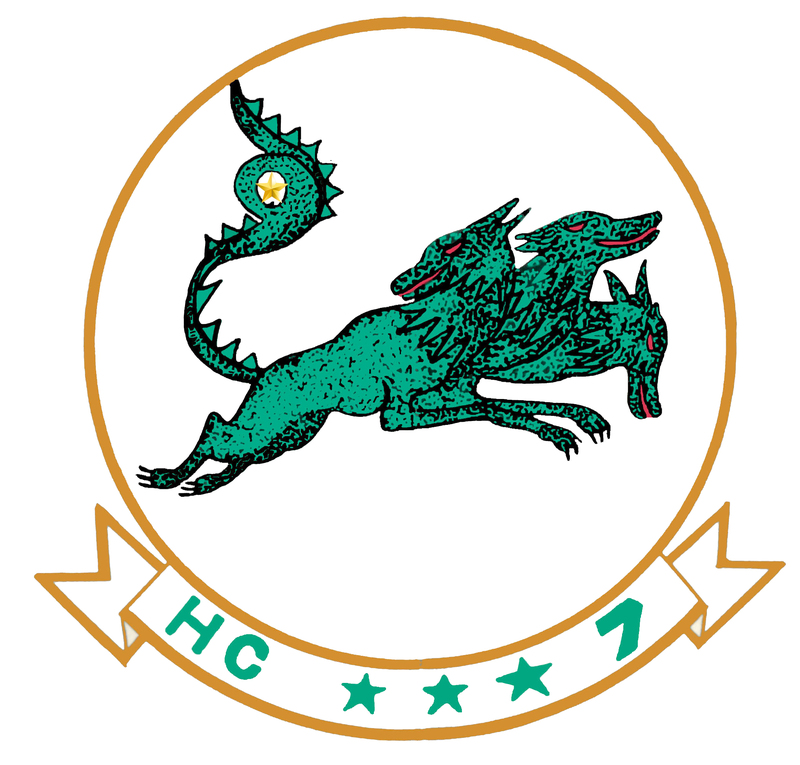 Upon completing training in Replacement Air Group (RAG) in the H-2 A/B helicopter he began fleet service in the newly commissioned Helicopter Combat Support squadron HC-7 in Atsugi, Japan (formerly HC-1 Det Atsugi). 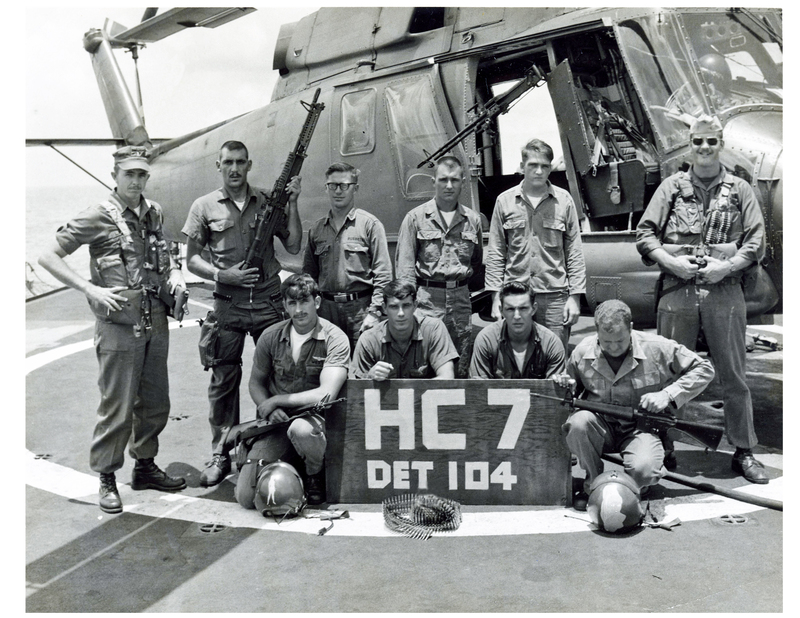 HC-7 had H-3 Sea Kings, H-2 Seasprites, H-46 Sea Knights, and H-53 Sea Stallions to provide various detachments to support the Viet Nam war effort in the Tonkin Gulf on carriers, destroyers, supply ships, (respectively) and as airborne mine sweepers. LT Cook deployed to the Tonkin gulf in four combat search and rescue detachments as an Assistant Officer in charge and as an Officer in charge aboard five non-aviation ships. 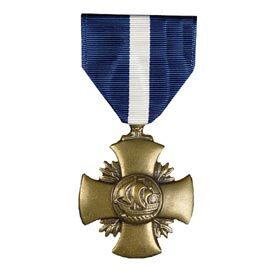 LTJG Cook was copilot during a night rescue of a F-4 aircrew in North Viet Nam for which he was awarded the Navy Cross. LT Cook was RIF’d (reduction in force) in 1969 and returned to Montana for six months before reentering the Navy for an assignment flying recently acquired H-2Cs in NAF Naples, Italy co-located at Capodichino airport along a taxiway. The mission of NAF Naples was to support Commander, Allied Forces Southrn Europe, Naples; Commander, Sixth Fleet, Gaeta, Ita;; and Commander, US Forces Middle East, Bahrain. In addition to the H-2, NAF Naples also maintained C-1s and C-131s that flew throughout the Mediterranean to Spain, Sigonella, Greece, and Crete as well as into England and Germany. Subsequent duty stations include HSL-30 NAS Lakehurst, NJ. 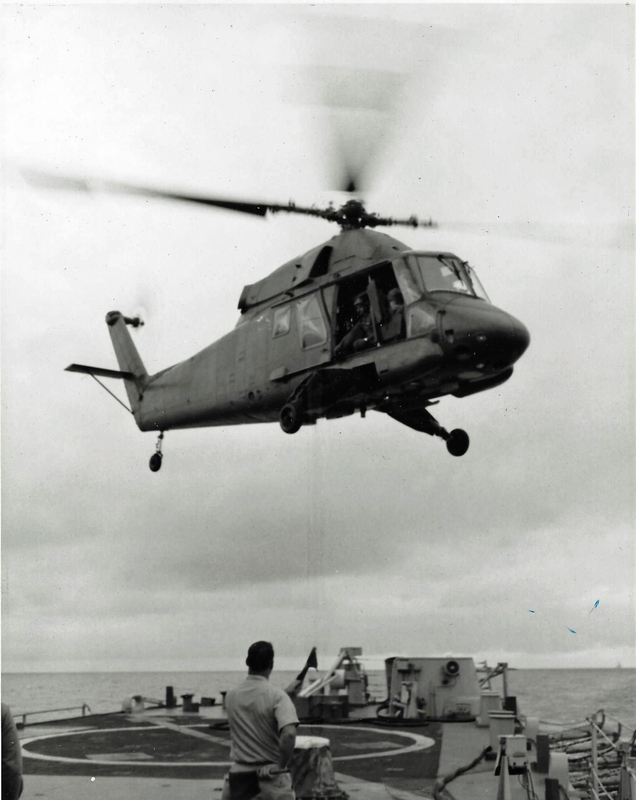 While assigned to HSL-30 LT Cook was assigned temporary duty to Naval Air Test Facility to assist in evaluating a haul down system to safely retrieve helicopters operating aboard non-aviation ships. 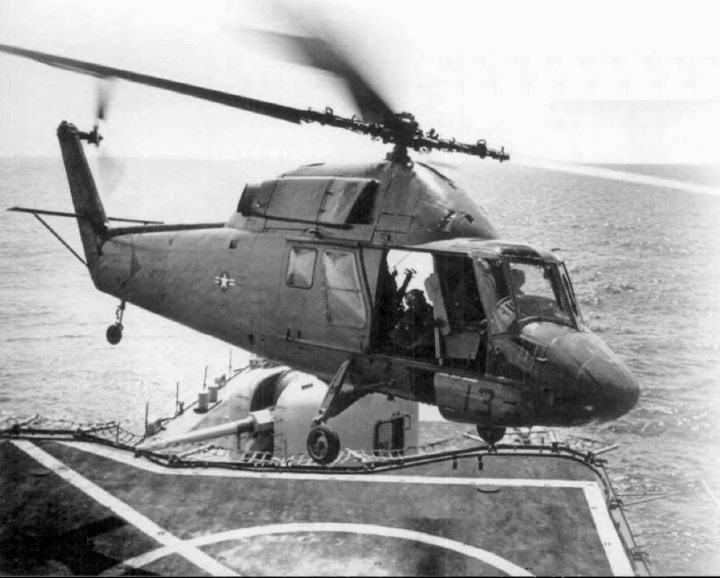 A few months after reporting aboard HSL-30 was relocated from NAS Lakehurst to NAS Norfolk, VA from which he deployed to the Caribbean as an OinC and also served as a Fleet Replacement Squadron instructor for pilots in the H-2C and H-2D. LCDR Cook then reported to HSL-37 Barbers Point, HI to again deploy to WestPac as OinC of seagoing detachments. CDR Cook reported to HRMC Pearl Harbor to assist fleet and shore commands improve operational effectiveness. He completed his Navy career as Executive Officer of Organization Effectiveness Center NAS Alameda, CA. CDR Cook, USN, Ret now resides in Buckeye, AZ with his wife Joy. Son Michael and his wife, Julie, reside in Greensboro, NC. His other son David resides with his wife Suzanne in Bremerton, WA. CDR Cook and Joy have three grandchildren Joseph (1988), Jacob (2004) and Abigail (2005).